Bougainvillea is a genus of flowering plants native to South America, from Brazil to Argentina to Chile. There are up to 18 species in the genus and over 300 varieties around the world. It was classified by Europeans in 1768. Later, natural hybrids were found to be common occurrences all over the world. Bugambilia genus was subsequently split in several ways until it was finally corrected to "Bougainvillea" in the Index Kewensis in the 1930s, now plants are scientifically called Bougainvilleas. They are thorny, woody vines growing anywhere from 1-12 meters tall, scrambling over other plants with their hooked thorns which are tipped with a black, waxy substance. Plants are evergreen where rainfall occurs most of the year, or deciduous if there is a long dry season. Leaves are alternate, simple ovate-acuminate, 4-13 cm. long and 2-6 cm. broad. Its long arching branches are thorny, and bear heart-shaped leaves. The actual flower of the plant is small and generally white, but each cluster of 3 flowers is surrounded by 3 or 6 bracts [modified leaves] with the bright colors associated with the plant, masses in white, pink, orange, purple and burgundy. Bougainvillea glabra is sometimes referred to as "paper flower" because the bracts are thin and papery. Many cultivars, including double-flowered and variegated, are available. They are popular where mild Mediterranean climate encourages their growth. In the landscape, it makes an excellent hot season plant, and its drought tolerance makes it ideal for warm climates year-round. Bougainvillea has a high salt tolerance, which makes it a natural choice for vivid color on coastal regions. As a woody vine, bougainvillea will stand alone and can be pruned into a standard. But it is perfect along fence lines, on walls, in containers and hanging baskets, and as a hedge or accent plant. The growth rate of Bougainvillea varies from slow-growing to rapid, depending on the particular variety. They tend to flower all year-round in equatorial regions. Elsewhere, they are seasonal bloomers. They grow best in somewhat dry, fertile soil and in very bright full sun and with frequent fertilization, but the plant requires little water once established. 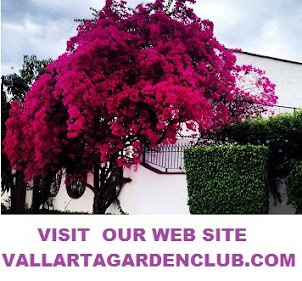 If over watered, Bougainvillea will not flower and may lose leaves or wilt, or even die from root decay. Bloom cycles are typically 4-6 weeks. 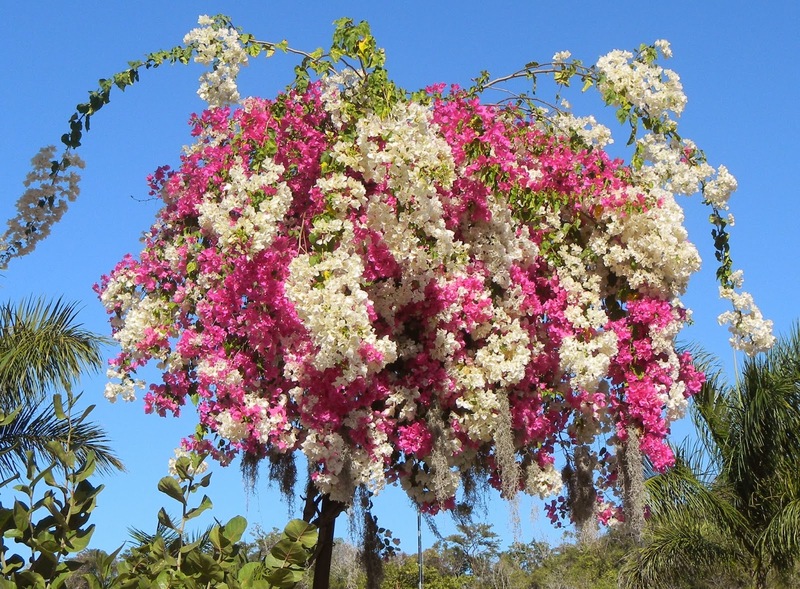 Bougainvillea are relatively pest-free plants, but may suffer from worms, moth larvae and aphids. Its sap and thorns can cause skin rash, so when pruning, avoid contact by wearing long gloves.